Seems like it has been overcast for weeks and it has rained for three days. I decided to look at it as a challenge. Maybe it's good to get away from dawn and dusk for a change. 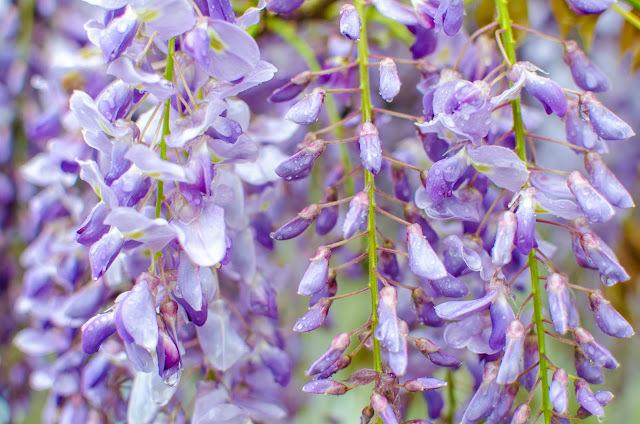 In any case, it smelled great photographing wisteria, lilacs, and dogwood flowers all morning.